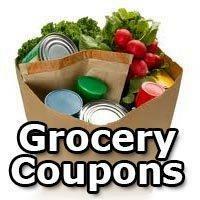 Save hundreds of dollars with printable grocery coupons. Select the coupons you want, print them on your printer and redeem at your local store. They are free to print and you don't need to register. New April 2019 coupons include Annie's, Clorox, Dole, Dove, Glad, Neutrogena, Off!, Scott, Seventh Generation, Silk Milk Totino's and 100's more. This site makes it easy to find great coupons. It is nice to be able to look down a list of coupons & brands rather than clicking on page after page on other coupon sites to find the ones you want. Awesome. I just got one loving it. You have the only coupon carrier that I can truly depend upon to give me coupons that I need to keep my grocery bill lower. You carry the best brands, of which I am very grateful. Please keep up the great work!!! like this site very much. Their great. They save me a lot of money. Great Place to get coupons. So far, I have printed but a few coupons. Not many coupons on the products that I use, but the service and layout is great. I enjoyed your product and will recommend it to a friend. I love the breaks we get on the coupons. They sure help the pocketbook. Great deals and cheap prices. I can't begin to tell you how much money I have saved since I discovered CouponSurfer! Combined with local sales, this is too good to be true! It has helped me save money. it has let me save for a vacation with the money I save from the coupons. Thank you. I enjoy getting great coupons from Coupon Surfer. The best of it is, they are all great name-brand coupons with big savings. Thanks. Always has plenty of coupons. Great savings for people who are trying to stretch a dollar. I am very happy to be a CouponSurfer and like the choices you have. I have 4 children and can certainly use the discounts. Love it. Love it. Love it!! The Coupons are very handy. I'm able to use a lot of them. Thanks. I think this site is great. I just joined & I'm looking forward to saving a lot of money in the future with the coupons I can print. I think your site is excellent. I love this site. It's one of the best I have ever seen. The best place for coupons!!! One of the top three coupon sites on the web. Thank you. I always come to CouponSurfer before each grocery shopping trip and find plenty of coupons to help stretch my budget. Thanks.